Despite the fact that this utilitarian work shirt has been a mainstay in the closets of cowboys for years, the denim buttondown is now reinvented for modern trends, providing the perfect juxtaposition to this seasons's floral and frilly skirts. The versatile jeans shirt is a timeles staple for your wardrobe and can probably be found in your boyfriend's closet. Nobody ever said that you have to stick to a casual style when you're asking what to wear with denim shirts. 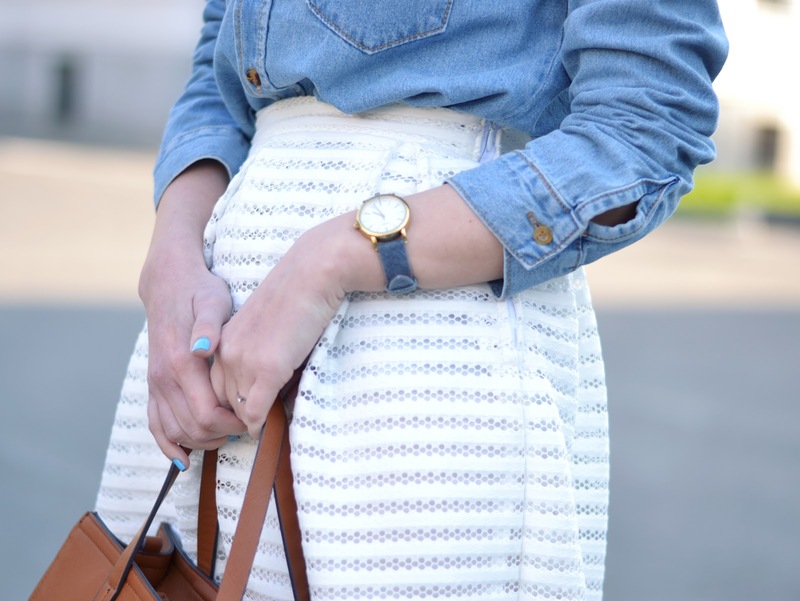 In fact, there are many different pays to play up your shirt, such as mixing it with a white skirt. Add a pair of high heels, a statement watch and you are ready to party. This is definitely one piece that not only will never go out of style, but it will get even better with time. 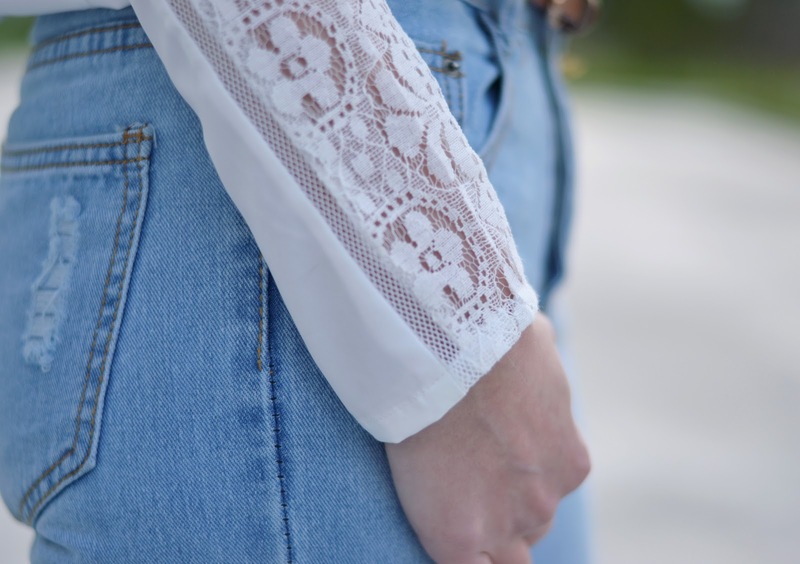 All in all, I can say that the answer to the question what do you wear with a denim shirt is totally personal, but you can broaden your horizons by giving a shot to this outfit! I guess my black moment is coming to an end. I can't say it's completely over, but I am definitely feeling like wearing more color again all thanks to the wonderful blouse I am sporting in today's post. I found it on my last online trip on Shein and just fell in love with the perfectly slouchy fit and of course the soft pink color. I actually have a bit of weakness for this particular shade of pink. Soft and feminine, it works beautifully with a variety of colors, ranging from deep shades like burgundies and navies, to softer ones like grays, creams and animal prints. And of course you know how important versatility is to me! Slowly and surely, with gender symbols blurring and folks of all genders becoming more courageous with color, pink is no longer the color for princesses-in-training. It can be a color that's as daring as it is dainty, bold as it is precious. 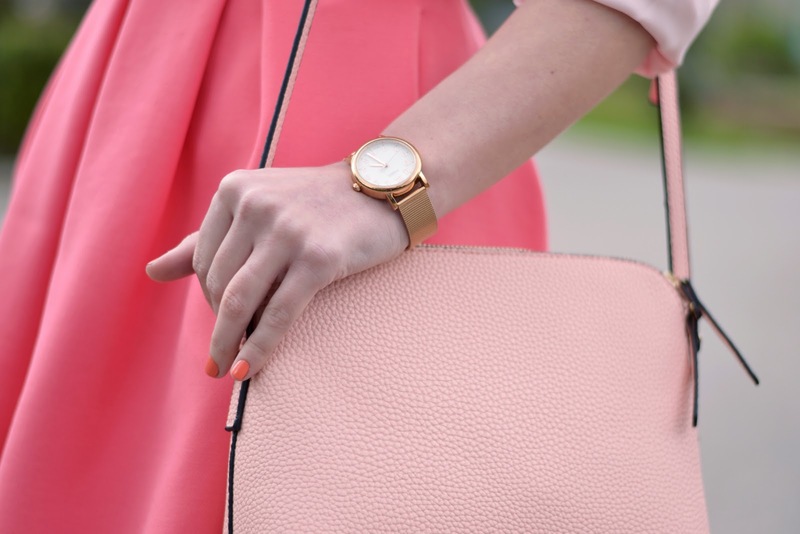 Your pinks don't have to match! Clashing looks best when you're working with a variety of patterns and prints. The secret to easily mixing shades is to choose one that's more shocking and pairing it with one that's more subdued. A pink piece is at it's most modern when paired with black, white or animal printed staples. If you're wearing pastel pink blouse, keep the silhouette sleek and tailored, as not to look like you're on your way to a dance recital. 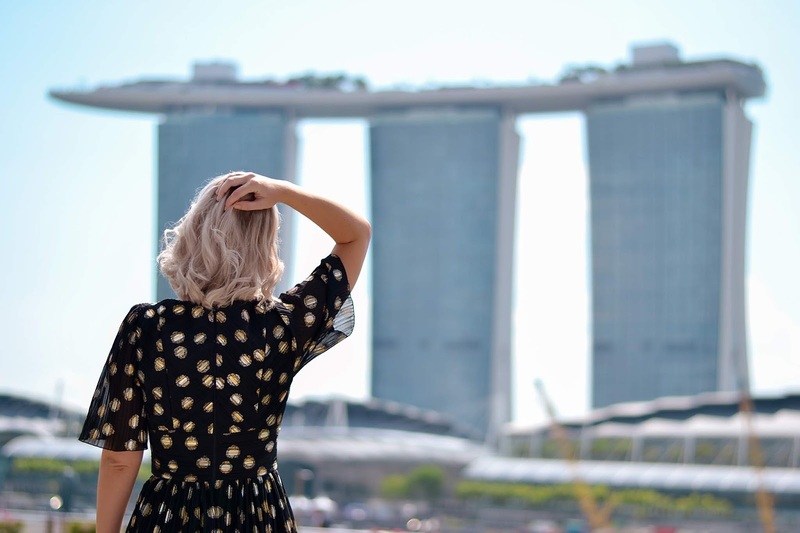 If you're not terribly excited about incorporating the hue into your wardrobe, a pastel pink lip or bold nails will do the trick nicely this spring, especially when you're wearing basic black and white. 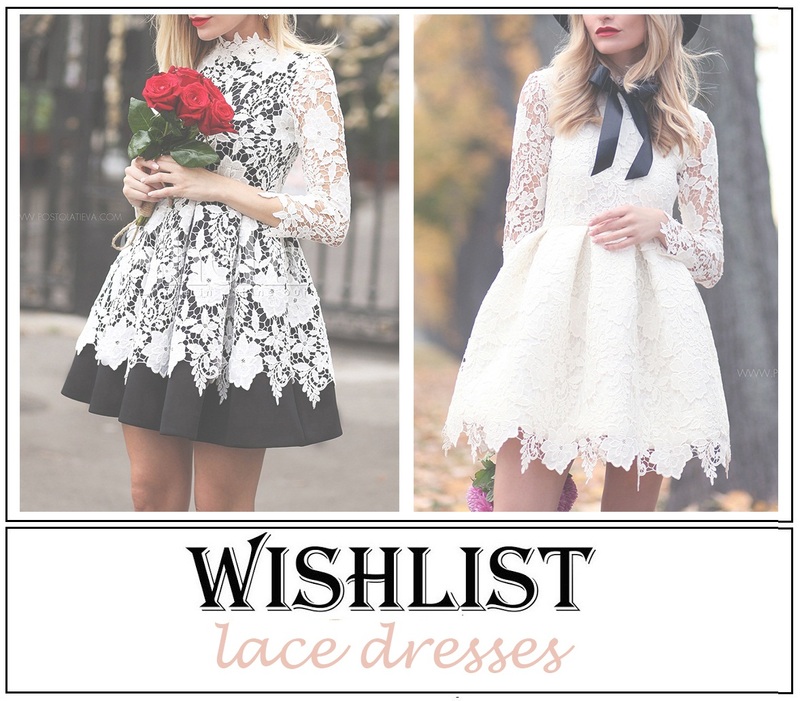 One of my favorite item that I believe it should be in every girl's closet is a simple lace dress. 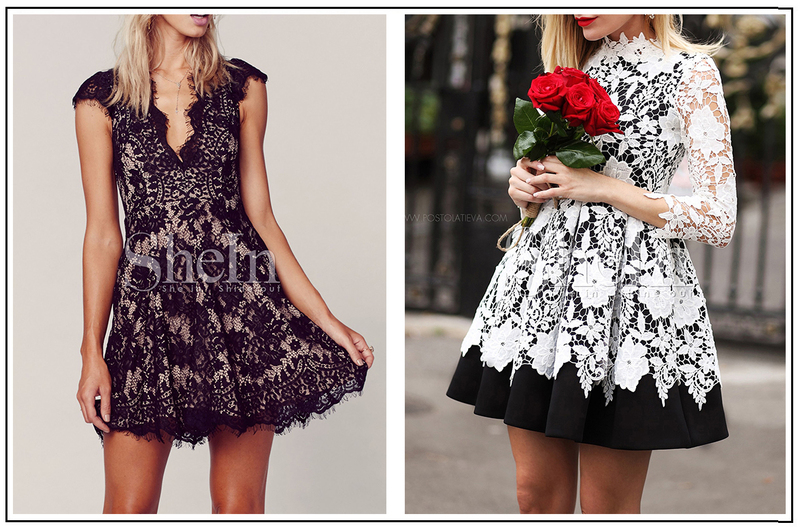 I am sure that you have at least one lace dress, which is great to wear with sandals, ballet shoes or colorful heels. And if you don't own one, better get it soon, because it is a source of endless options for combinations. From Saturday dates and into the night, a girl can never do wrong with a dress like this! As the spring is here, it means it is the beginning of the season for this romantic dress. You just have to decide how to combine it, what jacket to choose, what accessories to add, if you wear low boots or high heels. 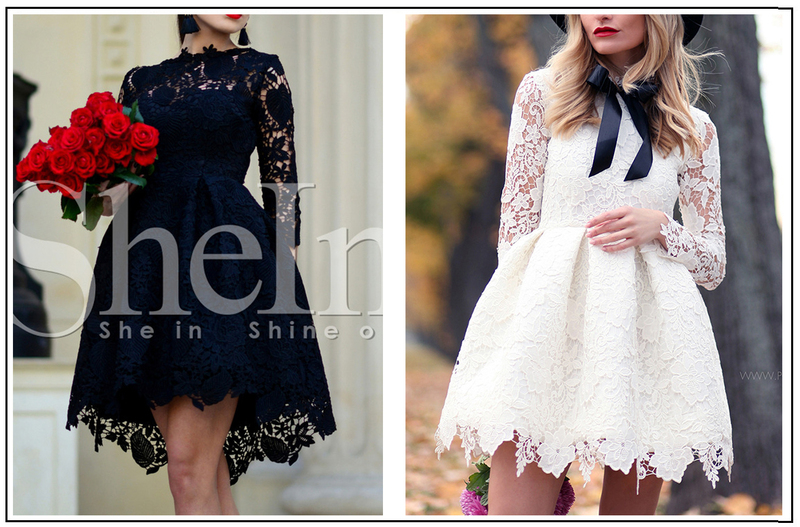 All in all, the truth is you can always look unique and beautiful wearing one of these dresses! 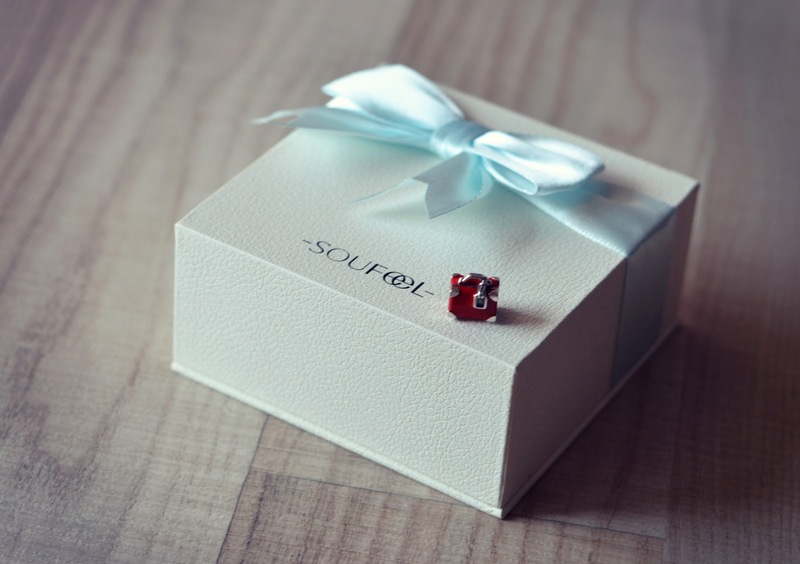 Ever since I received my Soufeel charm bracelet for Women's Day, I've been obsessed with it. 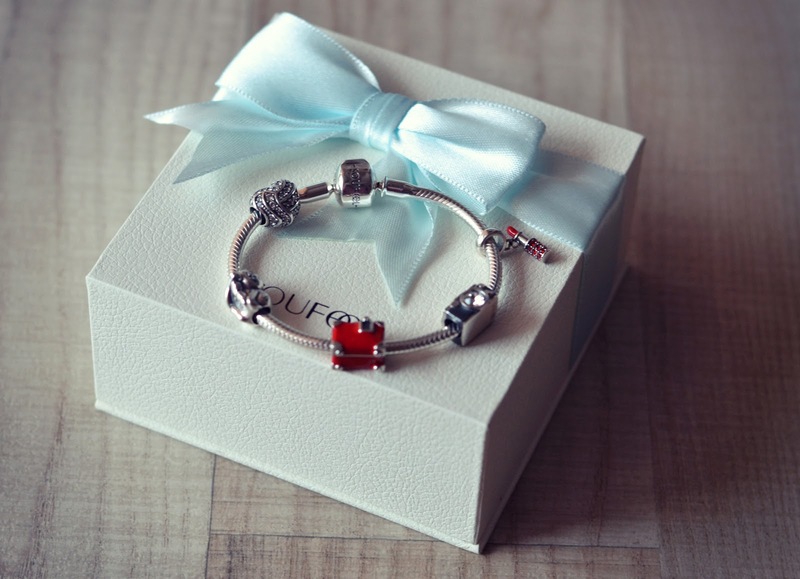 I seriously stare at it all day and think about what charms I want to buy next. A few of my friends own charm bracelets and I've wanted one for a long time. I never got around to buying myself one though, so I was super excited when they sent me this gorgeous gift. 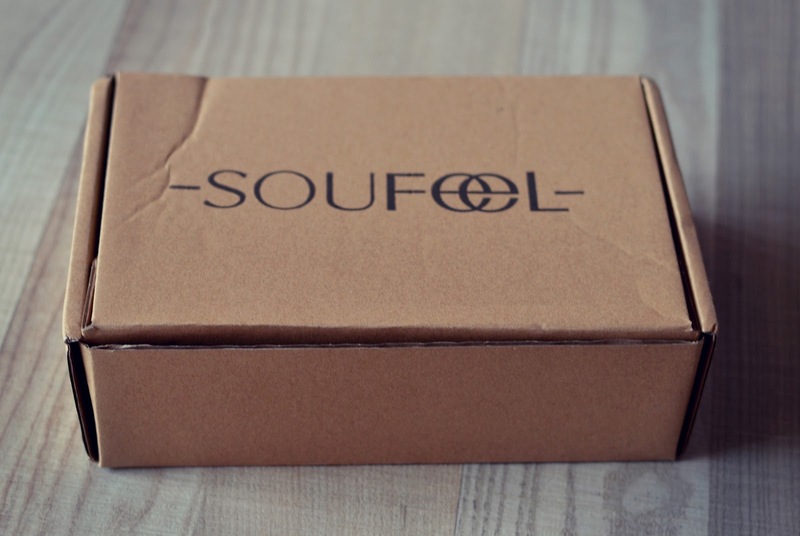 The parcel is actually a box made from solid carboard which didn't suffer any damages during transportation. 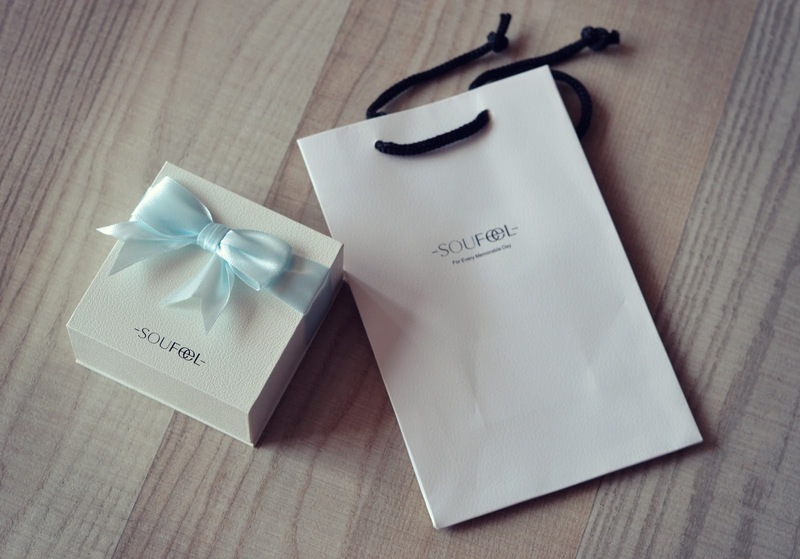 The products came in a white cardboard box with a cute blue ribbon. The box also came with a black velvet-like cushion and black sponge as buffer. 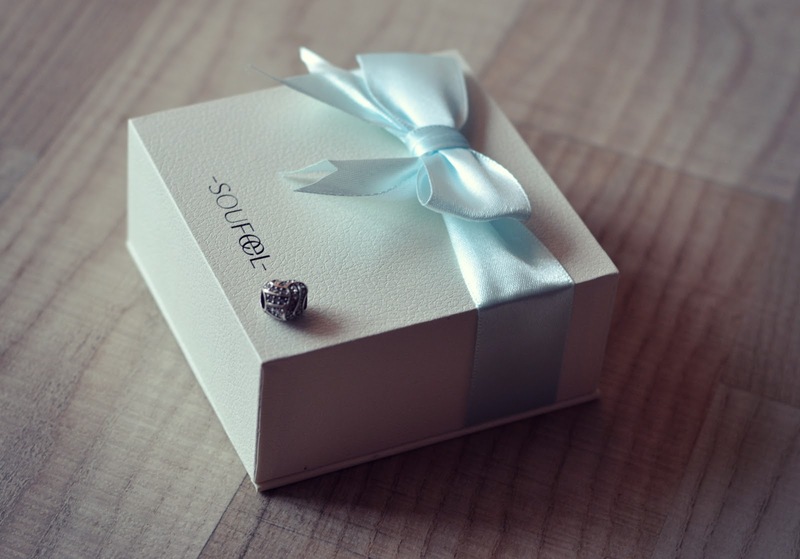 They also threw in a small polishing cloth, very similar to those small pieces of cloth that the optical shop gives you when you buy eyeglasses, which seemed to make the silver charms gleam even more after a quick few rubs. I only had 5 charms to start with and I really wanted something that would totally represent me. For the longest time, I couldn't decide on what to pick. In the end, I chose to go with five items that definitely depict my life. I love cats. They have been a part of my life for so long and the truth is I couldn't imagine my life without having one little fur ball to pet. I have chosen the heart because I believe in love. I believe in the power of love and it's capacity to change things. Besides that, I am about to get married, I am a woman in love and I had to illustrate that somehow. Because "if travelling was free you would never see me again". I like to discover new places, new people, new foods, new stories. At least once in a year I want to go abroad and explore places I have never seen before. Can you imagine that few years ago, before I started this blog, I hated to be taken pictures? I ran away every time. Now, the camera is part of my daily routine. Things being said, getting a charm bracelet can be a little confusing. 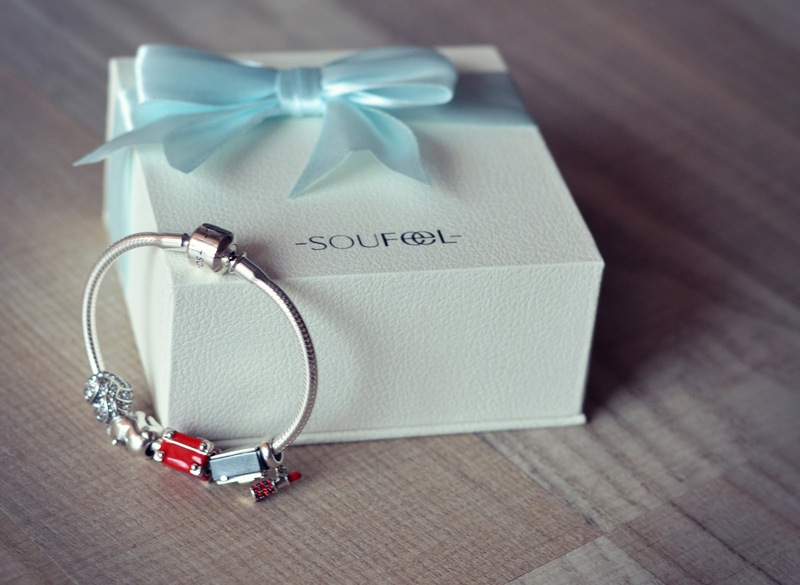 First of all, you need to know that all Soufeel charm bracelets are sterling silver. The finish is wonderfully shiny, and the silver looks beautiful. 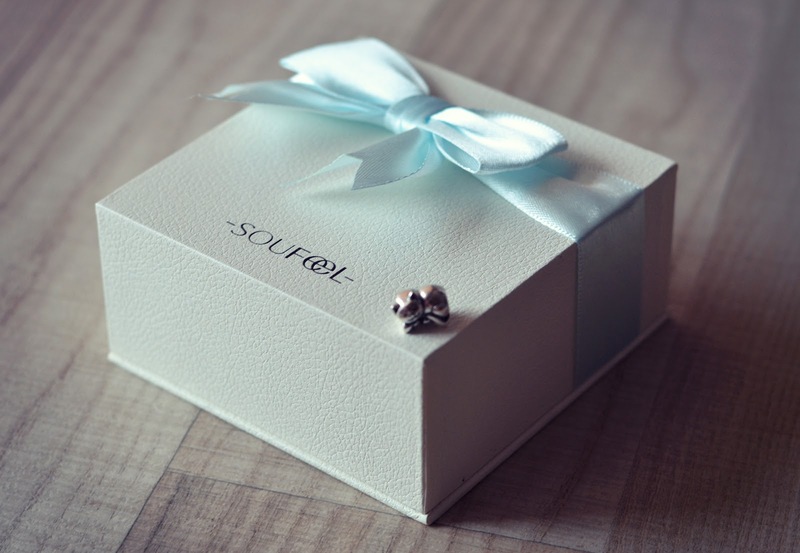 The bracelet came with the traditional barrel clasp which is actually very easy to use. Secondly, you must buy clips. 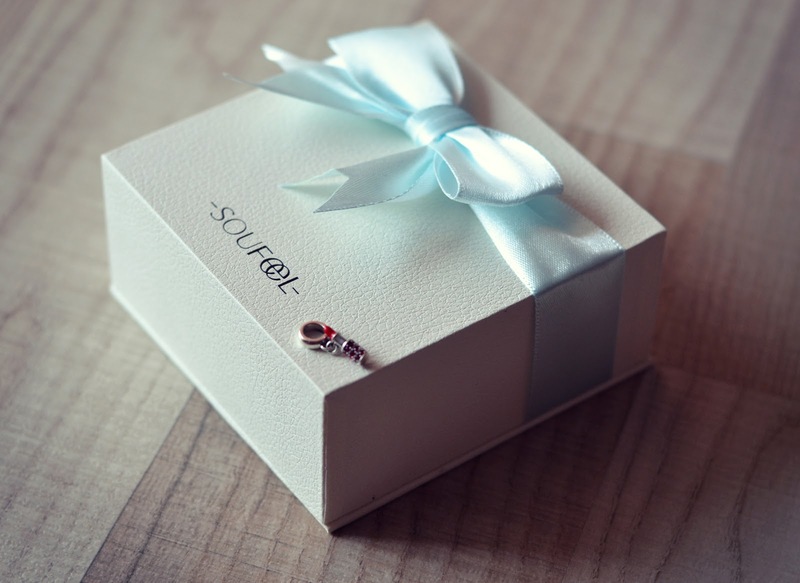 Clips are exactly what they sound like -hinged charms that snap straight on to your bracelet. 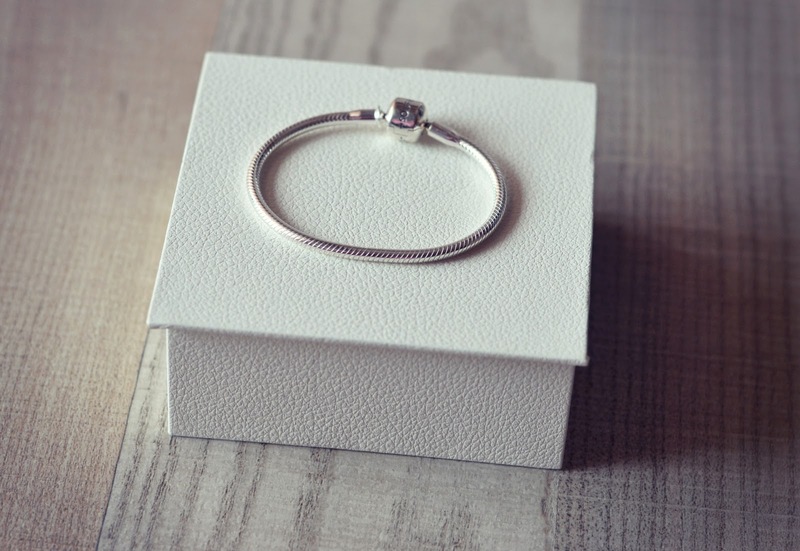 They prevent charms from rolling over the threads when you're wearing the bracelet. 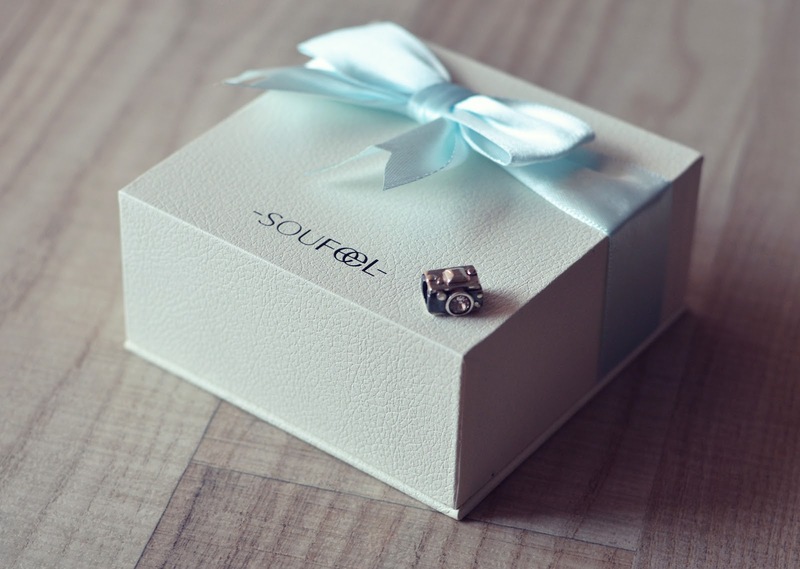 Moreover, at Soufeel they provide free shipping and 365-day return service, so that you can enjoy a risk-free shopping experience there. 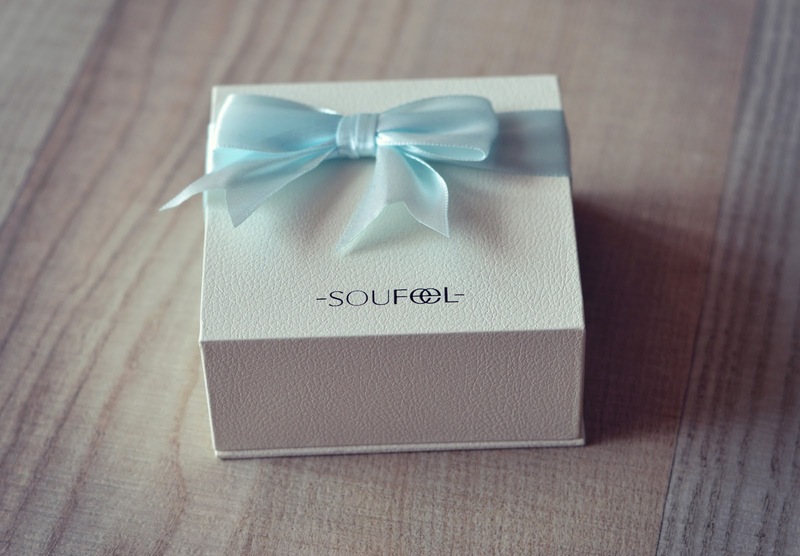 You can also search Soufeel on Google to find their official store. Here is an extra 5% off coupon code:BLOG5, with which you can save extra 5% on any orders.